As ever we undertake a comparison between the last calendar month and the same time period in 2017 to see if there has been any noticeable difference, particularly with the current political uncertainty. In November 2018 we saw an increase of 9% in the number of new solicitors registering compared with November 2018. The number of new vacancies fell by 6% during the same time frame. This is the second month in succession we have seen a fall in the number of vacancies. We have 31 law firms and legal businesses for sale at the moment – an increase of 24%, although we are working hard to expand this side of our business. 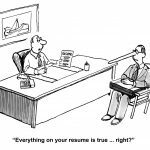 Previous Post Legal Job Interview Question and Answer – Can you give me evidence that you set yourself high personal standards? Next Post Exaggerating on CVs – a good idea?